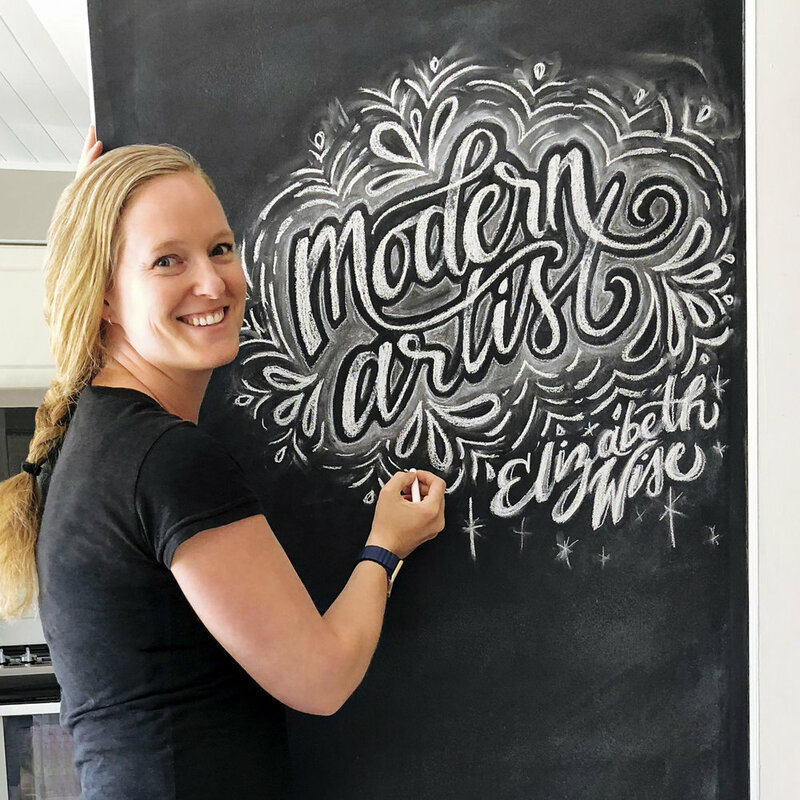 Our Modern Artist in this issue of Mississauga’s magazine is Elizabeth Wise of Wise Lettering. This local, vibrant, talented, creative and humble artist is one to keep an eye on as she’s quickly rising in popularity due to her imaginative vision and unique creativity. There's a really cool video at the bottom of this article of Elizabeth in action! I've always been fascinated with signage, specifically vintage hand lettered pieces and then my husband bought me various lettering tools and I haven’t looked back. I wasn’t certain it was something I could learn as I thought it was simply how lettering artists naturally wrote; I didn't realize that lettering is actually drawing letters. If you ask a calligrapher/letterer to write in their regular handwriting, it’ll likely be as normal as yours. Was learning to "letter" an easy transition as you're an established artist? Yes. I have been drawing photorealistic graphite portraits for nearly 30 years and a graphic designer for over 20 years, so lettering combined the best of both worlds. What's the most rewarding aspect of lettering? Recognition from my peers. The lettering community is quite supportive, and any positive reinforcement from letterers that I admire is rewarding. Do you wish you would've started earlier, or was the timing right for you when you started? I wish I knew that lettering was actually a "thing" earlier as there are so many times in my design career that I just couldn't find the right font and had to spend a lot of time digitally altering existing fonts to create what was in my head. What frustrations come with being a lettering artist? Illustrating to some clients to see and understand value what they’re getting. Just because I can write something quickly doesn't make it less valuable. To some, they do not consider the hours and schooling and training that went into learning this skill. Is there a specific style you're fond of? Highly graphic pieces, specifically black and white high contrast. I’m also fascinated with the art of traditional sign painting. What's been the most challenging lettering project you've done? This February, I was flown to Atlanta to paint a 13' x 9' wall mural, which took nearly 20 hours of hands-on labour. As intense as it was, I loved every minute of it. What does the balance of 2018 look like? I’ve a handful of events in and around Mississauga upcoming and more large scale wall murals lined up. My goal is to become an established letterer and a go-to mural artist in the community.